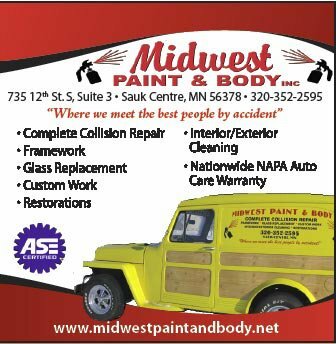 We are located 3 Blocks West of the intersection of Hwy 71 and cty road 186 (12th St S) in the same building as Napa, Midwest Paint & Body and Centre Rental. We are a locally family owned business managed by a husband and wife team with assistance from our son. We currently have two other employees in our happy crew. Our mission is our customer's complete satisfaction. We strive to provide the finest in collision repair to every vehicle that enters our shop. Through our experience over the years, we have found that the proper restoration of a vehicle to its pre-accident condition makes our customers happy. In return, our customers recommend our work to their family, friends, and co-workers. Our customers continued trust and confidence in our work ensures our future business. We offer other painting needs such as house doors, boats, or motorcycles. Or as Martha Stewart recommends, be different and creative! 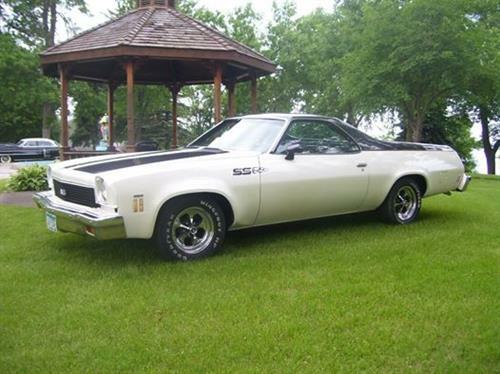 Have your local body shop refinish your things in automotive colors. We can apply auto colors on wood, metal or plastic. Maybe your refrigerator in a 2000 VW yellow, or an end table in a jeep red- there is no limit. So give us a call!